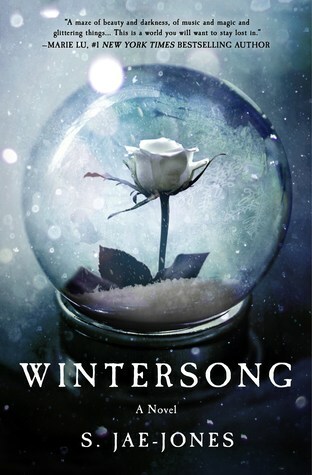 Wintersong was one of my most anticipated books of the year so going in I had super high expectations which it did not meet. If I did not have those expectations my feelings might be a little different but honestly I can't say for sure. It was good but not great. I felt the story was lacking and the characters I didn't especially enjoy. Going into thinking there was going to be an epic love story only to have really a lack luster couple. I mean sure they were alright but nothing spectacular. It was enjoyable but still nothing really I would seek out again. I love the setting of the story and the fairy tale aspect. It sounded so awesome a story with a Labyrinth feel (such an awesome movie). The characters sounded promising a strong female protagonist fending for her family, and dark mysterous man who you can't help but swoon for, and supporting characters you love. Although they have some feels of this nothing ever really sparked. As I have said before the characters were ok. The Goblin King and Liesel's romance was very little and I never really felt they were right together. Then the supporting characters just didn't fit in as well. Honestly the story I felt held so much promise it just couldn't hold its own. I could tell she was a Freshman writer. The story itself if a sequel came out I would give it another try although it wouldn't be a book I would actively seek out.